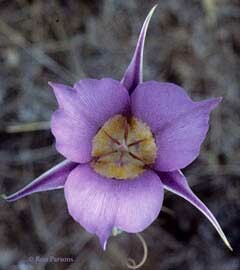 Ron Parsons is considered by many to be one of the finest flower photographers in the United States. 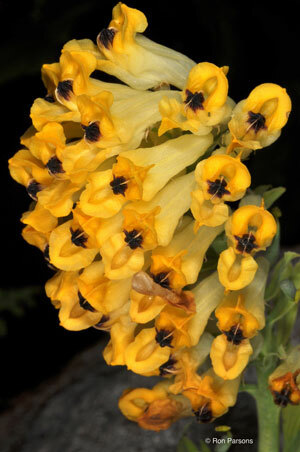 His photography and encyclopedic knowledge of orchids is known both nationally and internationally. 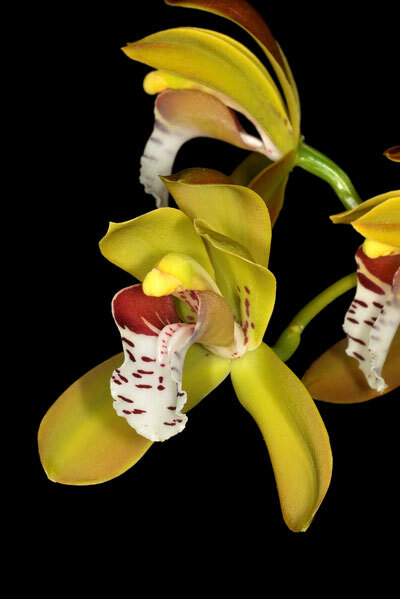 He has been photographing orchids, wildflowers, and almost every other kind of plant for over 25 years, and he has taken thousands of photos of orchids, wildflowers and other rare plants.Visit Ron's Picasa photography site for a more complete collection. Ron Parsons has been growing orchids for more than 40 years and has been interested in and has grown species for most of that time. Ron loves to photograph orchids and other flowers whenver he can, whether it be in trips to see them in nature or in collections. Ron has nearly 60,000 digital images, most of which are orchids, and still retains a slide library that exceeds 100,000 botanical images. He has over 3000 published photos that have appeared in magazines, periodicals, journals and books. Ron has co-authored three botanical books, all with Mary Gerritsen. The first two, published by Timber Press, are Masdevallias, Gems of the Orchid World; Calochortus, Mariposa Lilies and their Relatives. Most recently the third book, a large, luxurious 2-volume set A Compendium of Miniature Orchid Species was published by RedFern Natural History Productions. The latter has nearly 1200 pages, 1800 photographs and features more than 500 species. 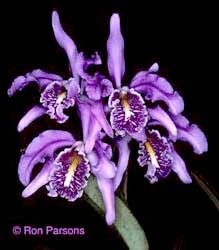 If you are interested in using any of Ron's photographs in a book or journal article, please contact Ron-he has many different shots of thousands of different orchid species and wildflowers, as well as many other plants. All photographs on this website are © Ron Parsons and can only be used with permission from Ron. 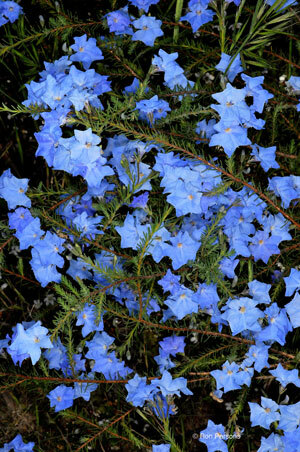 Selections of Ron's photos of various flowering plants, grouped by family. We will add new photos on an ongoing basis, so check back frequently! 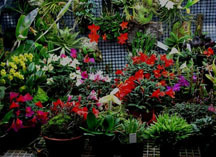 Ron is a popular speaker, and gives talks frequently on variety of orchid-related topics, as well as on California wildflowers, cacti and succulents, carnivorous plants, gesneriads and bromeliads. If interested in his lecture topics, see the lecture page of this web site for more information and links to sample photographs and lecture descriptions. Ron is often asked to present the "show and tell" plants at orchid meetings-he is always full of up to date taxonomic information, culture requirements, and other little known facts about the species and hybrids that members bring in. Ron's talks feature his beautiful color slides of the subject matter, in-depth information, and first-hand knowledge about the species discussed. If your group or society is interested in one or more of Ron's lecture topics or require additional information, please see the contact information page of this website. 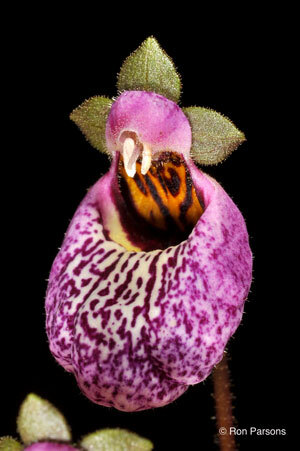 Not only does Ron photograph plants, but he has been growing orchids, cacti, and bromeliads for over thirty years, and carnivorous plants for ten. He grows an assortment of cool growing species under lights at his home in South San Francisco and a few more at an unheated greenhouse at his parents home in Burlingame. 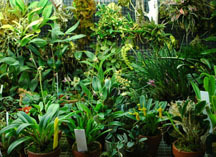 His collection is beautifully grown, and often the plants featured in his talks are from his own collection. 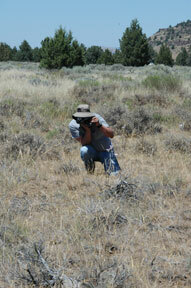 He willingly shares his knowledge about plant habitats and suggestions for culture with all who are interested. Ron Parsons is a member of the San Francisco Orchid Society, The Peninsula Orchid Society, The Orchid Society of California, and the Bay Area Pleurothallid Alliance. 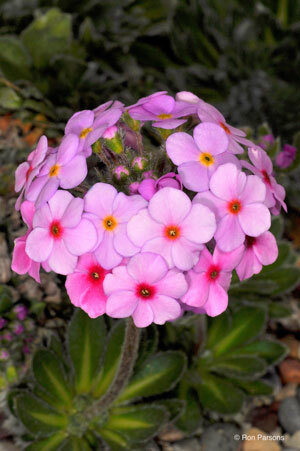 Ron is also a member of the San Francisco Succulent and Cactus Society, and the American Gesneriad Society of San Francisco. Start date: November 17, 2009. Unique visitors to Flowershots.